Historic galleries are under more pressure than ever to meet new audience and stakeholder expectations. 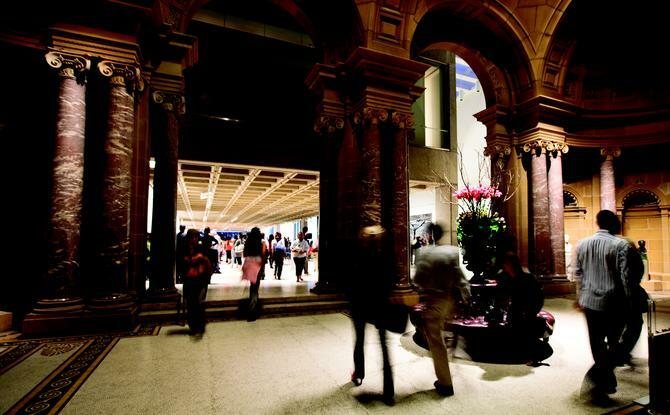 Even such a highly engaged venue as the Art Gallery of NSW (AGNSW) has slipped from a top 20 global art listing. But while bringing digital change can be challenging, AGNSW’s director of public engagement, Jacquie Riddell, said the decision to invest in the right tech stack is starting to generate positive stakeholder outcomes, help boost engagement and drive internal efficiencies. For 30 years, the gallery focused on its art and its people. But under new leadership in 2013, it announced a strategic vision to double its physical size, use technology to engage audiences globally, and boost annual visitor numbers from 1.3 million to 2 million. With more than 1000 high-profile stakeholders, 30,000 subscribed members who visit and contribute, 1000 events each year, and 350,000 disparate records, the gallery needed a CRM system to provide a consolidated and seamless view of engagement. “The gallery was led by a director who’d been in the post for 33 years and who was more about art and people, but not so much about process or contemporary management practice,” Riddell said. “A lot of work was needed to bring us up to contemporary professional practice. The gallery’s new strategic vision depended on effectively engaging audiences and stakeholders, but there was no formal CRM. Stakeholder information was being held in various physical and electronic formats throughout the organisation, presenting significant risk and missed opportunity. In addition to its data challenge, the gallery also needed to bring its people on a journey of significant cultural change. “Originally, the organisation had what could only be called a very old-fashioned practice managing stakeholders, which was an absolute nightmare. Our numbers are high, the stakeholders are very important people – often very powerful people – and they all have loud voices,” Riddell stressed. On top of this, the gallery had complex integration requirements. Marketing applications, finance systems, ticketing and venue booking systems all needed to feed into the CRM. “Roles and work processes across the gallery had developed independently over many decades, so there were isolated processes, system gaps and extreme silos,” Riddell said. The gallery embarked on a CRM strategy founded on data integrity and a single customer view, implementing SugarCRM in partnership with Loaded Technologies. “One of the main reasons we chose Sugar was its openness and ability to integrate easily,” Riddell explained. “Sugar seemed simple enough whereas some of the other systems pitched to us were quite complex, particularly Tessitura, which is used a lot by performing arts companies. We didn’t want a system we had to train people in particularly, and Sugar seemed user friendly. Introducing ‘corporate’ capabilities like CRM enabled the gallery to plan and strategise engagement, as well as fuel substantial changes to teams, processes, technologies and overall culture. Since the implementation, 95 per cent of the gallery’s data is in CRM. According to Riddell, this has significantly empowered the AGNSW to manage and strengthen relationships with stakeholders. The new CRM system also supports donation, sponsorship, guest lists and event management. The CRM strategy is helping people work better together, too. It has enabled business processes across departments and is delivering the right information to the right people from a single, reliable source, Riddell said. “Because things can be automated, we’ve certainly seen great outcomes in terms of reduction of work and making us more efficient with managing large tasks such as events,” she said. “There are less people involved with steps such as when we invite 2000 people to an opening and when we’re managing RSVPs. Marketing is another area that has improved dramatically through a combination of CRM empowerment, new leadership and partner support. The system enabled sophisticated campaign management with complex opt-in / opt-out functionality, and was integrated with the gallery’s Campaign Monitor platform. Moving forward, Riddell’s ambition is to support the gallery’s vision and expansion through CRM-driven engagement, boosting funding and audience visits and elevating its reputation and global standing as a top 20 gallery again. The gallery will be introducing more features and integrations in coming months. “There are parts of the organisation that are very excited, but are yet to sort of ‘come online’, if you like,” she said. Long term, Riddell envisioned the gallery being able to recognise and profile visitors right from their very first contact, then ensuring meaningful, personal engagement, whether they’re visiting in person or interacting through any other channel. A key initiative will be to shape an engagement strategy for the gallery’s 200,000 subscribed members. Riddell’s advice to others looking to invest into new CRM capability is to think through how the business will adopt these changes culturally. “You need to ensure you have enough support for those changes. Have your eyes open as to what is really involved in a huge project of this scale,” she recommended. Riddell agreed it’s quite unusual for an art museum to breathe sophistication in this area of CRM. “People are quite surprised that we’ve gone down this path,” she said. “It’s about stakeholder management, which is critical, but really there’s a time in our immediate future where we need to communicate with audiences and we must do it ourselves. This article originally appeared in CMO's Issue 1, 2017 magazine edition. If you'd like to sign up to your complimentary digital or hard-cover copy, you can do so online now here.